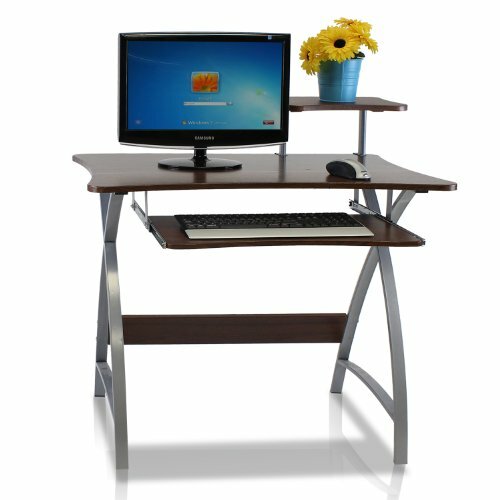 FURINNO Besi home living space Saving office desk is (1) unique structure: designed with simple yet stylish appearance. We focus on products that fit in your space and fit on your budget. (2) easy assembly: with reference to the assembly instruction, this unit can be assembled in as short as 30 minutes. Designed to meet the demand of low cost but durable and efficient furniture. (3) made from metal and particle board with high durability and without harsh chemicals. Thus there is no foul smell. Closer to healthy living and nature. A simple attitude towards lifestyle is reflected directly on the design of FURINNO furniture, creating a trend of simply nature. Products are produced 100-percent in China. Care instructions: wipe clean with clean damp cloth. Avoid using harsh chemicals. Pictures are for illustration purpose. All decor items are not included in this offer.